Race Awards will be available for pick up at the Alamosa Family Recreation Center beginning on Monday, January 28th. Awards are given to 1st, 2nd, and 3rd place finishers in both men's and women's overall, and in each age division. We will mail awards to those who reside out of the SLV. Timing Chips: if you still are in possession of a timing chip, please drop it off at the Alamosa Family Recreation Center or mail to 2222 Old Sanford Rd. Shiver Me Timbers! One of America’s most unique 5k races kicks off at 10:00am on Saturday, January 26th. 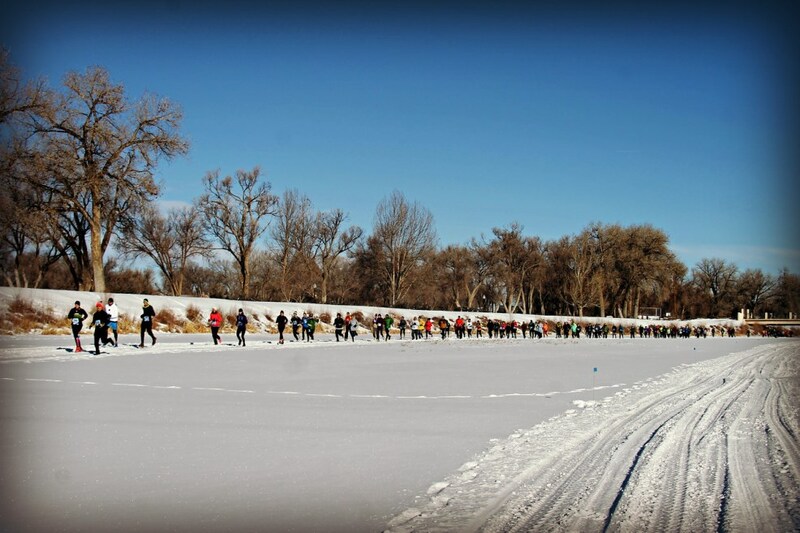 This spectacular 5k race is conducted entirely on the majestic frozen Rio Grande. Have you ever run on a frozen river? Don't fret; a small layer of snow offers traction while you take in the majestic views of the San Juan’s to the West and Sangre de Cristo’s to the East from the heart of the San Luis Valley! Runner's World Magazine named this race one of three "editor's picks" for running enthusiasts for 2015. Chip timing and unique “ice-themed” awards enhance this special race for runners of all abilities. Register for the race below!